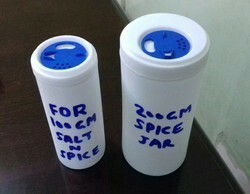 Our product range includes a wide range of spice jar. 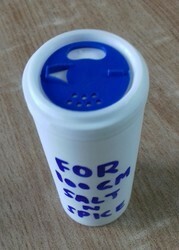 For use 100 gm Salt and Spice with hole type closer cap and shutter. We have two varient , one for 100 gm salt and another for 200 gm salt. Both are food grade.